Submitted by adminkyvelou on Tue, 26/10/2010 - 12:34. 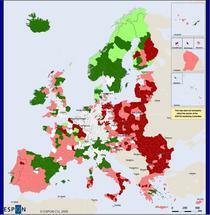 This month, ESPON presents trends in population development, namely on population growth in EU and its neighbourhood. 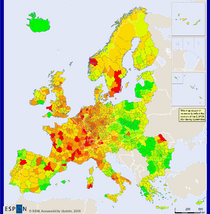 Demographic development will have a major influence on future territorial development in Europe. The human resources have a significant impact on the economic development of regions and cities. It is therefore a key concern for policy makers to attract and develop a highly skilled labour force in their regions and cities. In this respect, migration and imbalance between EU Member States and neighbouring countries represent important opportunities as well as challenges. 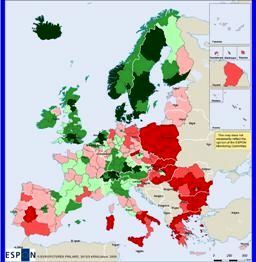 The diversity of population growth indicates the areas around the EU where one can expect a high level of interest for migrating to the EU. 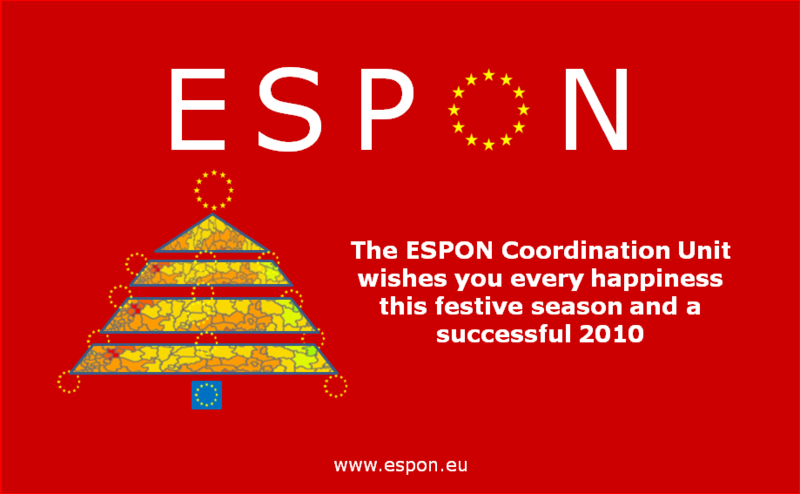 This map was included in the ESPON Territorial Observation No.1.For futher reading please click here ! Submitted by adminkyvelou on Mon, 18/01/2010 - 12:21.